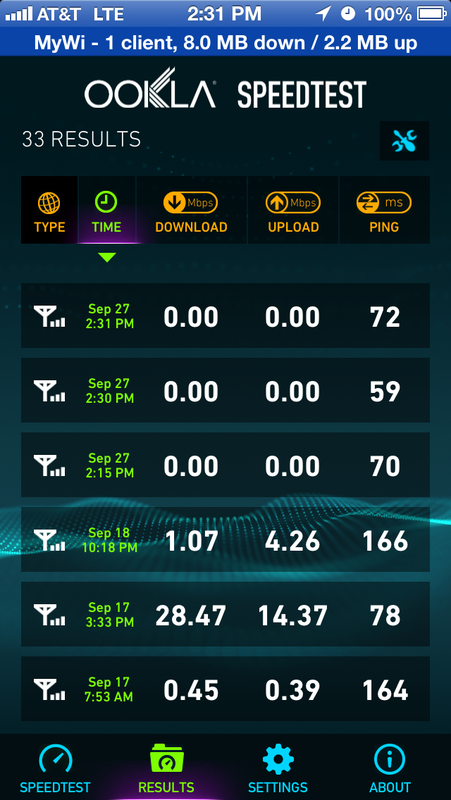 Carrier AT&T going too far with the throttling. Discussion in 'iPhone' started by jesusplay, Sep 27, 2013. I can't do anything with this phone. That certainly sounds like hyperbole to me. Couldn't you change your plans and move away from an unlimited plan thus avoid throttling? More than likely the tower is down, AT&T hasn't throttled me since I've been on lte and I use about 11gb a month. You're using Mywi for tethering your carrier data to another device and you're doing a speedtest at the same time? And then you wonder why the speedtest results are poor? It looks like you SHOULD be throttled! Sorry, but I have no sympathy for someone who's still on an unlimited plan and tethering off it, when others (myself included) played by the rules and paid for a tethering plan. You may think I'm a sucker, but I don't get throttled, ever. If you were getting throttled for JUST phone usage, it would be a different matter and I'd sympathize. The plan is for unlimited on-phone usage and you should be able to use data on your phone unlimited-ly for any legitimate use. But if you're clinging to unlimited and using WyWi, then you best take your lumps when you get throttled, and keep the fact that you're tethering quiet, lest you get caught and the throttling problem "solved" for you by AT&T. jesusplay is going too far w/ MyWi. I hope they take down your unlimited for abuse. I would stop using MyWi if you wish to keep your faux-unlimited plan. disregard I'm back to full speed. As much as I despise AT&T I hope they kick you to the curb. Hey OP - stop using so much and ruining it for the rest of us. AT&T seems to have lifted the throttle so many throughout the country. SO DON'T RUIN IT!